Snoopy holds so many fond and loving childhood memories for me, mainly due to the TV movie I watched every December when I was a kid, A Charlie Brown Christmas. As a child, watching that film contributed to the love I had for Snoopy and the entire Peanuts gang. Those memories helped make my childhood more special and allowed many happy moments. If you’ve never heard of this 1965 classic, A Charlie Brown Christmas, it was an Emmy-winning animated television special, and musical, based on the comic strip Peanuts, by Charles M. Schulz. It was produced by Lee Mendelson and directed by Bill Melendez. 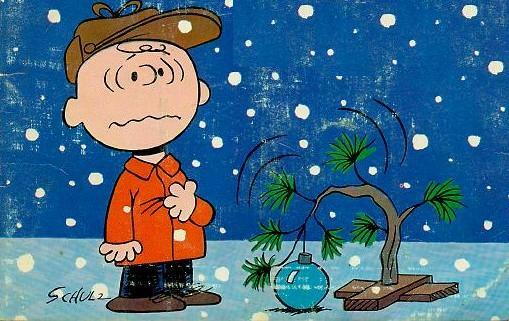 In the special, lead character Charlie Brown finds himself sad, despite the cheerfulness of the holiday season. Lucy suggests he direct a school Christmas play, but he is both ignored and mocked by his peers. The story touches on the over-commercialization and secularism of Christmas, as Charlie Brown seeks to find the true meaning of Christmas, which he discovers is the birth of Christ. Now, I have memories that I can build with my kids, and just yesterday my oldest son asked when we could see the new Peanuts movie. I can’t wait to share this experience with both of my sons! Aww Tirralan, this brought back so many great memories! I ‘ve raised two boys, they are now 18 and 22. When FROZEN came out they wanted to go see it with me, I was so choked up when Anna started singing to Elsa on the other side of the door and everyone began to sniffle I was outright sobbing, mostly because AJ and Hunter as grown men really, wanted me to go see Frozen with them! I am a boo-bag when it comes to my kids! God bless you for sharing this lovely post.